Independence day – and the Heavy Metal Dayz 2014 (#HMD14) just started – at least partially for those who challenged another team in Germany’s biggest, greatest, simply awesome Warmachine and Hordes team tournament in Oberhausen. Holy hell. This is it. Look at us. We grew old and fat. 10 years of Heavy Metal Dayz – 10 years of Warmachine. From 32 players to 126. We’ve seen many things in this game, some of them bad, most of them great. In my opinion, the game in its current state is better than ever – a development I couldn’t have foreseen. With Warjacks of Renown, character jacks, epic casters, cavalry, battle engines, legendary casters, colossals and of course their Hordes counterparts; with now 12 factions instead of the original 4 and a complete rules overhaul; with a perfectly functioning tournament system and an active community we now have huge conventions and events as well as countless smaller tournaments and organized play all over Germany and the world. We too have always tried to push the Heavy Metal Dayz a little further and had high aspirations for our tournament and the players’ experience in it. Through some experience with another wargaming system we first cooked up strange hybrids with clumsy rules, before we finally settled on a system that works well for the HMD and still gives us some space to play around a little. For some, the tournament, the competition and the game are a priority. For others it’s the socializing, the event itself and the odd beer or ten. We hope that all players feel at home and have a great time at the Heavy Metal Dayz – that’s what we’re doing all this for. First of all I have to thank Sebastian Kliesow, who has always helped and supported me with our tournaments and especially the Heavy Metal Dayz – we postponed the HMD this time around so that he could take his holiday in peace and still make it this year. And my gaming club. We’re now back up to over 20 active players and have started to gain a little ground in competitive play, but that’s not the point here. The point is that by the time the HMD start, we all will have pitched in and toiled and bustled for weeks in our spare time for this tournament. Building new tables and terrain, refurbishing old ones, organization, logistics, shopping – it would all never have happened without you. Thus, from me as the “head”: Thank you, “Puppenclub”. Thank you, Headblast. And of course thanks to all of you who’ve come to game with us, to celebrate and to have a good time. Year in and year out, you are our motivation to keep cooking up new insanities, to keep working only to see what we can accomplish this year. Last but not least we want to thank our sponsors. 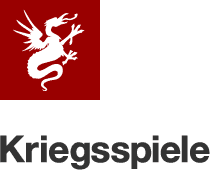 Hats off to Ulisses Spiele und Medien GmbH and Fantasy Stronghold for their prize donations and the continuous support of the German Warmaching & Hordes scene as a whole. Tabletop Art also throws in some amazing prices and we’re also grateful to our illustrator Florian Stitz and his support! We’ve challenged Team PadF (ohne Zusätze) and will face Minions, Menoth and Cygnar in our first games on Saturday morning.